GSM Gateways inlcuding analogue, ISDN and VoIP GSM Gateway connectivity solutions. 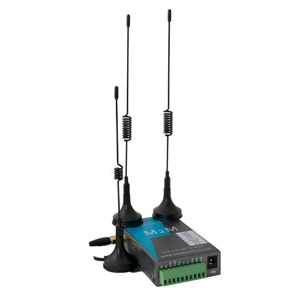 The Telecom FM Cellroute GSM Gateway enables the user to connect a single analogue telephone or connect to a single analogue trunk port of a phone system to enable calls over the GSM network. There are three versions of the Cellroute GSM Gateway. The Cellroute AC is a ingle SIM analogue GSM Gateway with a single RJ11 telephone port and supports a 2G SIM Card (ie operating on the 900/1800Mhz mobile phone frequencies). The Cellroute GPRS is the same specification as the Cellroute AC, but includes a built-in battery back up providing a telephone service in the event of of power failure. The Cellroute 3G is the same as the cellroute GPRS and inlcudes the battery back-up but operates on both the 2G (900/1800Mhz) and 3G (2100Mhz) frequencies so it can be used in areas that are covered by 3G voice networks. The Cellfax Plus is a 2G GSM Gateway that provides voice calls, just like the Cellroute gateways, but also supports fax transmission, so can be used to send and receive faxes over the GSM network using a standard analogue fax machine connected to the telephone port of the Cellfax Plus Gateway. The cellfax Plus GSM Fax Terminal only operates on the 2G (900/1800Mhz) networks becuase these are the only networks that support fax transmission. An ISDN2 GSM Gateway like the GSMRoute BRI from Telecom FM uses mobile phone SIM cards to provide a telephone connection that is presented as an ISDN2e telephone line. This means that is can be connected to the ISDN2e line port of a phone system to enable calls to be made over the mobile phone networks. A VoIP GSM Gateway enables the user to connect their VoIP Phone System to the GSM Network so they can make calls over GSM using the SIM cards inserted inside the VoIP GSM Gateway.